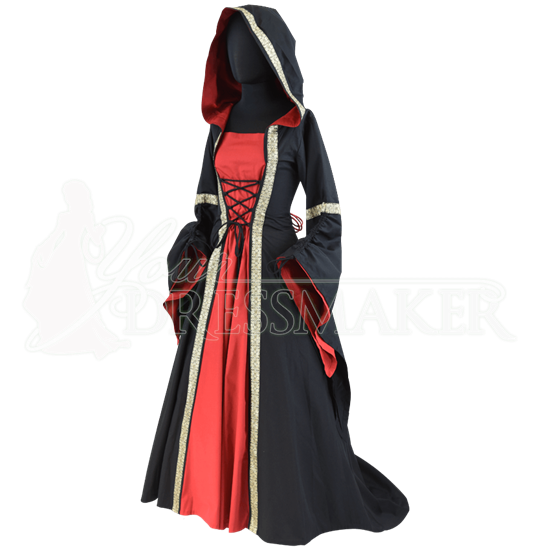 For a look that evokes both regality and mystery, choose the Hooded Renaissance Dress with Train. This handmade Renaissance gown features a full hood with a point, a modest train in the back, and black and gold metallic jacquard trim. Made of comfortable lightweight cotton, this hooded dress is fully lined and fitted at the bodice. Lacing underneath the bust and at the back of the waist allow for a flattering, adjustable fit. The long skirt flows out in a full A-line shape, the back longer to create the train effect. To give the skirt the volume shown, combine the gown with our A-Line Petticoat (MCI-145), sold separately. The sleeves are fitted until a band of trim at the elbow, where they then flare out in a dramatic bell shape adjustable via integrated drawstrings. Roomy enough for a relaxed, fantasy look, the full hood ends in a point. This expertly handmade dress has a two tone design but is all one piece for easy wearing. Available in a variety of color combinations, the first color listed is the outer color, and the second color listed is the color of the front panel, sleeve lining, and inner hood lining. 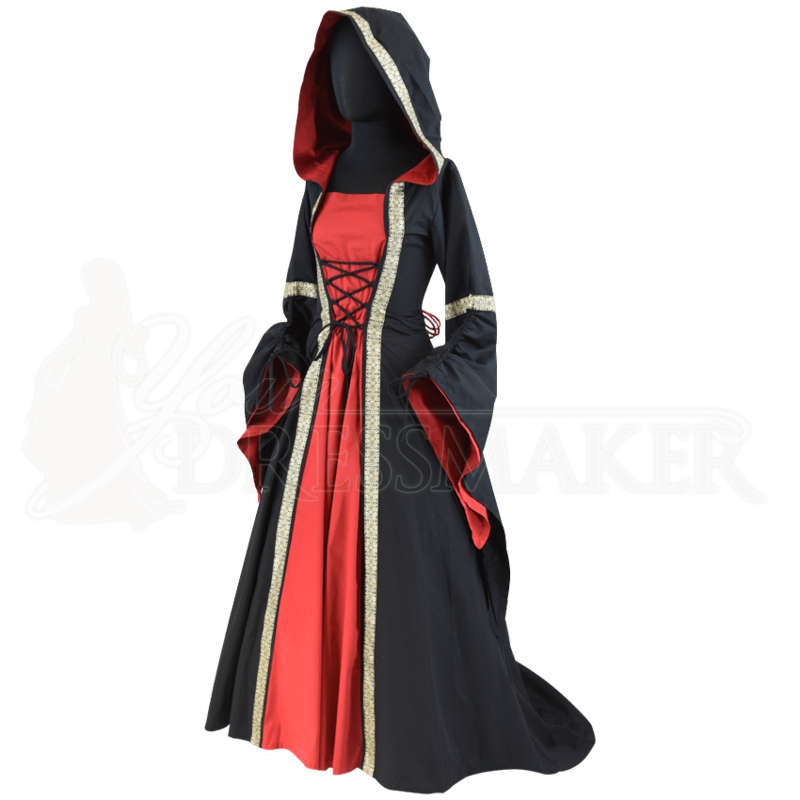 This gorgeous medieval gown is ideal for Renaissance festivals, conventions, fantasy roleplay events, and more.